***Husband does not do any kind of fish/seafood :( so I skipped the crayfish, but it sure sounded good! Collards: Sauté onion until soft in butter. Add collards, season with salt. Cook until semi-soft (green still should have texture). Cream Sauce:In a sauté pan melt butter over medium heat. Add Tasso, andouille, Serrano, and onion. Season with salt. Cook until onion is soft. Add dried thyme, bay leaves and white wine. Cook until wine reduces. Add cream and reduce until sauce consistency. Adjust seasoning, add crayfish, reserve warm. To Serve: Griddle a corn cake in a non-stick pan with a small amount of butter or oil. Top with sautéed collards, then with a poached egg...I skipped the egg. Spoon cream sauce on top. Great accompaniment to flank steak! 1. Place chopped peppers and broth into a saucepan and bring to a boil. 2. Reduce heat and simmer 10-12 minutes, or until peppers are tender. 3. Allow mixture to cool (if you blend it hot, it will fly out of the blender and burn you), then puree in a blender (broth and all) along with cilantro and salt. 4. Place onion and rice into a saucepan with the oil, and cook, stirring, until rice is opaque and onions are tender. 5. Add garlic and cook briefly, until it becomes fragrant. 6. Stir in broth mixture from the blender. 7. Bring to a boil, then cover, reduce heat, and cook for 15-20 minutes or until rice is tender and liquid has been absorbed. 8. Allow to sit with the pan lid on away from heat for 12-15 minutes, then fluff with a fork and serve. I always go on a late season ski/eat fest with friends. I thought I would try Potato Skins from scratch and if they were good, introduce them to my friends as a mid-afternoon snack! I must admit scooping out the potato to get a perfect skin is not as easy as it looks! 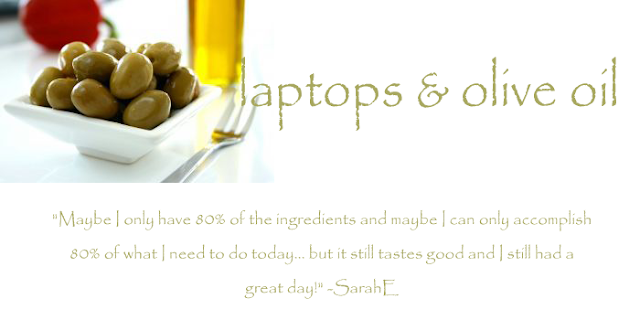 Canola oil or grapeseed oil ....80/20 I used vegetable oil and it worked fine. 1 Scrub the potatoes clean then bake the potatoes using your favorite method, either oven or microwave. If using an oven, rub with olive oil and bake in a 400°F oven for about an hour until the potatoes are cooked through and give a little when pressed. If using a microwave, rub all over with olive oil and cook on the high setting for about 5 minutes per potato. I have found that baking the potatoes in a conventional oven yields potatoes that are easier to work with (cut and scoop out), the potato seems to adhere to the skins a little better, but there is hardly a discernible difference in the final product. 2 While the potatoes are cooking, cook the bacon strips in a frying pan on medium low heat for 10 to 15 minutes, or until crisp. Drain on paper towels. Let cool. Crumble. 3 Remove the potatoes from the oven and let cool enough to handle. Cut in half horizontally. Use a spoon to carefully scoop out the insides, reserving the scooped potatoes for another use, leaving about 1/4 of an inch of potato on the skin. Increase the heat of the oven to 450°F. Brush or rub grapeseed oil or canola oil (or another high smoke point oil) all over the potato skins, outside and in. Sprinkle with salt. Place on a baking rack in a roasting pan (don't use a cookie sheet, it will warp, use a roasting pan or broiler pan that can take the heat). Cook for 10 minutes on one side, then flip the skins over and cook for another 10 minutes. Remove from oven and let cool enough to handle. 4 Arrange the potato skins skin-side down on the roasting pan or rack. Sprinkle the insides with freshly ground black pepper, cheddar cheese, and crumbled bacon. Return to the oven. Broil for an additional 2 minutes, or until the cheese is bubbly. Remove from oven. Use tongs to place skins on a serving plate. Add a dollop of sour cream to each skin, sprinkle with green onions.